A while back, I was leading a group call for a mastermind program and a woman “raised her hand” to share how she was feeling about her progress in her business. She’d been having what she described as minor successes from time to time, but for some reason she felt like she always ended up crashing and burning, often ending up in a worse place than where she began both financially and emotionally. “Bravo!” I told her. “This is so great!” I explained that just by raising her hand and sharing her fears with the group, she was already rewriting history. Instead of isolating herself, Kim was stepping out of her comfort zone, being vulnerable with her peers, and asking for help … something she’d never done before. Like Alan Cohen, a mentor of mine, says, “Your history is not your destiny.” The small change Kim made of reaching out before she hit the wall again was changing the trajectory of how things were going to work out for her this time. She was in a familiar place, but she was taking a new approach, which I assured her, would make all the difference. Rather than crawling back into her fears, Kim showed up for our mastermind call and bravely asked for the support she needed. And when she did, not only did she get a personalized pep talk from me, she also discovered a lot of other people who related to what she was going through and who wanted to support her on her journey. Before we ended the call, I took the opportunity to explain to Kim and the rest of the group that the real key to stepping out and finding the support that’s available to you, is being open to receiving it. 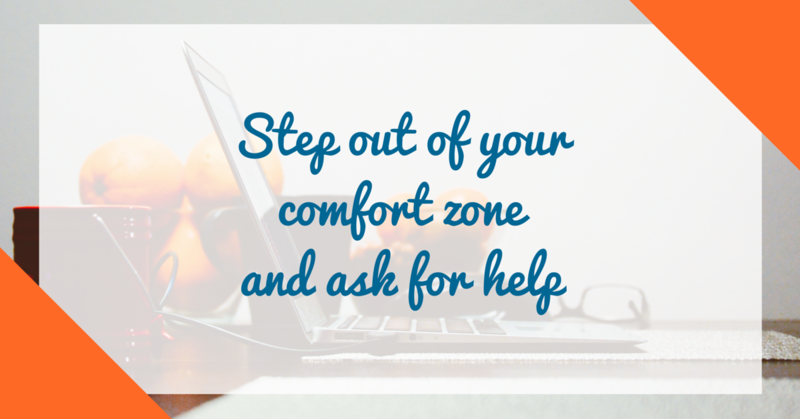 Asking for help is one thing; accepting it is quite another. And believe me, once you can do that, it will make all the difference in the world. 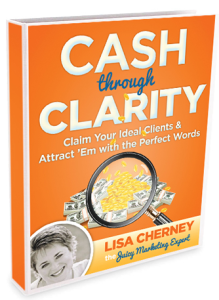 When you are ready to find your Marketing Strategy Sweet Spot™ so you can connect with your Ideal Clients, check out our popular Cash Through Clarity Training & Coaching Program and take advantage of our free bonus, “The Packaging Your Genius Formula” video training – a $2000 value! Learn more at www.CashThroughClarity.com. Categories: Conscious Business, conscious livingTags: conscious business, Conscious Marketing, Entrepreneur, Lisa Cherney, Marketing, Small BusinessBookmark the permalink.